Quality and diversity – daily fresh and with love and passion for our guests there – this is your MAESTRO Nuremberg. Freshness, diversity & quality are our important principles.The production of our food requires besides skills, care and a lot of patience also ample experience. Aurelio our pizzamaker from Calabria has learned his craft from child to and can look back on 35 years of experience. He is using for our stone oven pizzas only selected ingredients. We invite you: in a cozy guest room with Mediterranean environment or to sit outside in the sun or under our parasols! Take a break with Italian delicacies and fresh drinks and feel comfortable like with friends. During the lunch break or when shopping, sitting together with friends, talking, eating or only drinking an espresso! That´s all possible at MAESTRO without stress and above all you don’t have much time. Whether antipasti, pizza, pasta, salad or dessert, our dishes are varied, fresh, change daily and can be taken of course. For the most time-conscious, all dishes can be pre-ordered and picked up by phone under +49 911 – 54 36 66. You can choose and order your favorite food from our menu. The MAESTRO is located in an urban setting in the heart of Nuremberg city and invites you to linger in the culinary delights. Not only the eye will tempt you to the South, no above all the smell of freshly baked pizza, fruity pasta and delicious cappuccino will remind you of the flair and feeling of life in an Italian piazza. Relax from the stressful office routine, during the lunch break or after a strenuous purchase. 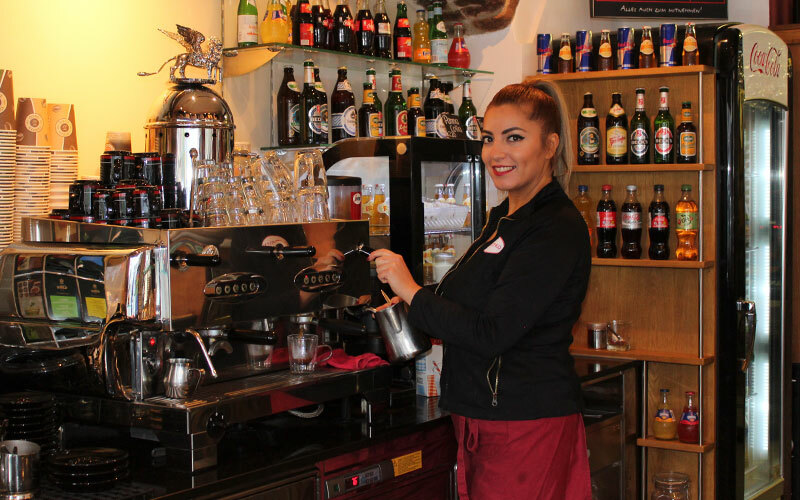 Treat the time and linger a little with Mediterranean delicacies, a fruity Aperol Sprizz or a Segafredo coffee. 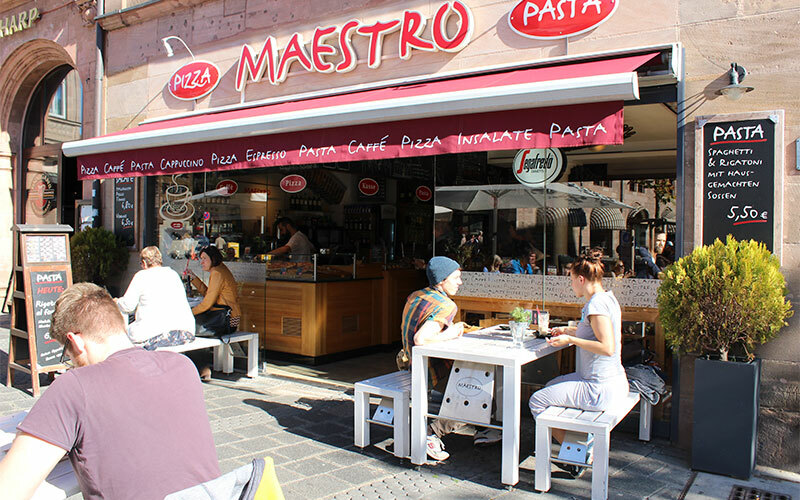 Go on a short time trip with us and enjoy Italian lifestyle with us at the MAESTRO at the middle of Nuremberg.